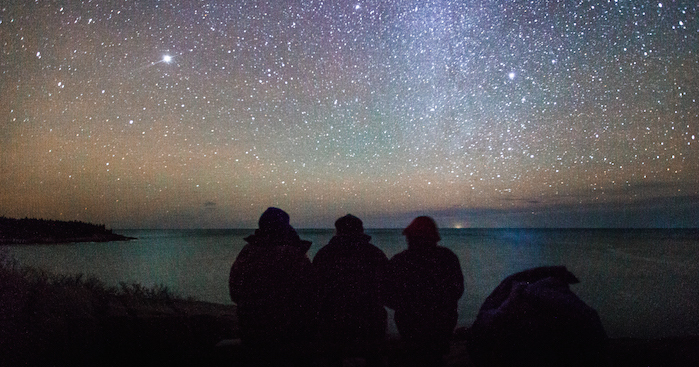 Acadia National Park is working to become an International Dark Sky Park. Photo by Jason Corey (CC 2.0 via Flickr). It’s not easy to find dark skies along the East Coast of the continental United States. Development and expansion have increased light pollution along the seaboard, disrupting ecosystems and stargazing. However, through significant efforts to mitigate light pollution, a few places have managed to maintain and preserve their night skies. About 170 miles from Portland, Maine, Acadia National Park has developed a reputation as one of the premier astrotourism destinations in the eastern U.S. Beginning in 2009, Acadia leadership and the surrounding townships began taking steps to preserve the night skies within the park. Lighting ordinances, academic studies, and even an annual night sky festival have helped ensure the darkness from which the park’s night skies benefit. The success of these measures prompted the park to engage in further light reduction efforts in order to qualify for consideration as an International Dark Sky Park. In the fall of 2015, I contacted Acadia to see if there was a need for any research on policy topics that could both add to the park’s research and analysis database and be used as a Capstone Project for my Masters in Public Policy at the University of Virginia. Fortunately, John Kelly, Park Planner for Acadia, responded to my phone call asking if I could study the steps Acadia could take, over a short time horizon, to continue to reduce the park’s light pollution and achieve the DSP designation. Over the course of the next four months, I developed a quantitative and qualitative evaluation of potential policy options for the park to consider. To summarize the report, Acadia is quite different from other Dark Sky Parks. Due to the sheer physical reach of light pollution, mostDark Sky Parks are located in secluded areas, far from towns and cities. Acadia is the opposite; the park sits on an island, surrounded on three sides by townships, thus making light reduction efforts difficult. It became evident that, due to Acadia’s tight budgetary and administrative constraints, the most effective vehicle through which Acadia could achieve its policy objectives was the initiation of new partnerships with existing organizations. Stakeholder and organizational analysis led me to identify three organizations with the appropriate capabilities, legitimacy, and missions to partner with the park. These entities were the Mt. Desert League of Towns (a policy body of the surrounding townships of Acadia), the Worcester Polytechnic Institute’s Dark-Sky Team (an academic light pollution research group), and Friends of Acadia (a nonprofit working for Acadia conservation). The League of Towns Darkness Coalition: this subgroup of the League could work specifically on light reduction policies and dark-sky educational initiatives. The Dark-Sky Taskforce: in partnership with the Dark-Sky Team, this group could perform lighting audits (measure business and residential nighttime light levels free of charge) and prepare the park for its DSP application. Lighting Consultant: a full-time individual funded by Friends of Acadia could work to prepare the park for its DSP application. The League of Towns/Dark-Sky Partnership: a combination of the responsibilities of Options 1 and 2, members of the Dark-Sky Team could perform lighting audits and prepare the park for its DSP application and the League could serve as its monitoring and review board. Each option was analyzed using the qualitative criteria of political, legal, administrative, and budgetary feasibility, public support, and lighting reduction, each given a rating of high, medium, or low. A benefit-cost analysis for the next five years completed the evaluation of options. The identified benefits were economic benefit, electricity savings, and environmental benefit, and the identified costs were retrofitting or replacing lights and fixtures, hiring new employees, and safety. Following this analysis, the Lighting Consultant provided the park with the greatest net present value compared to the status quo, $111 million to Acadia and the surrounding economies over five years. However, because of the unlikelihood that the Friends of Acadia Board of Directors could approve the large expenditure required to hire a Lighting Consultant, I recommended the Partnership option, which provided the second highest quantitative benefit ($104.1 million) and a favorable qualitative review. The report has been met with an initial positive reception. The League and the Dark-Sky Team seem eager to begin work should Acadia pursue this policy option. 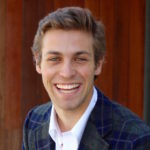 Locher received his Masters in Public Policy at the Frank Batten School of Leadership and Public Policy at the University of Virginia in May 2016. On his way to becoming an Eagle Scout, Locher gained an appreciation and love for the outdoors, which prompted his desire to serve as a consultant for his Masters Capstone Project with Acadia National Park, developing a policy solution to reduce their nighttime lighting levels.